London’s Calling kicks off tomorrow with a HIPSTERCAT race. Now here was me thinking I could do my first alleycat as a bonafide messenger when it sounds like I’d have fit the bill better as a good old fakenger! On the plus side, I am no stranger to a pair of skinny jeans so hipster attire should pose no problem to me. Better dig out a pair of horrible shades and I’ll be good to go. There’s all sorts of other stuff planned for the weekend such as footdown, flaming skidtels and all that but I’m off to my nephew’s tea party on Saturday and the Charge Cobble Wobble on Sunday so it looks like I’ll have to get my fill on the Friday. 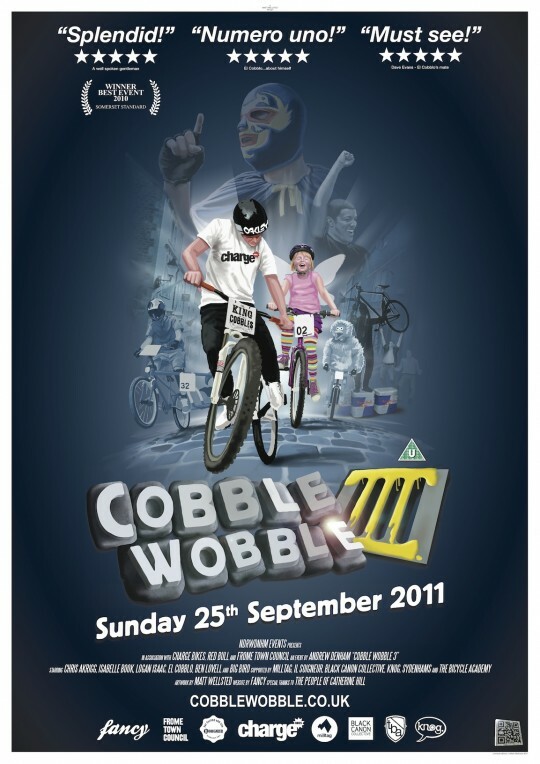 The Cobble Wobble in Frome sounds like a good laugh; a sprint up a super steep cobbled hill, curries, BBQ and beers. Looking forward to that one!